Today’s microchips, while tiny, still use a fair ammount of power. This means that batteries have to be large and don’t usually last very long. But what if microchips were just a little bit more efficient? That’s what a team of engineers at MIT was thinking when they set out to redesign the microchip to make it even more efficient. The result is a microchip with a power consumption that is so low it can be recharged by your very own body heat. Imagine the possibilities of bodyheat powered microchips: pacemakers could be powered by the body’s warmth, mobile phones by just moving them, and remote sensors could get energy just by the ambient energy around them. 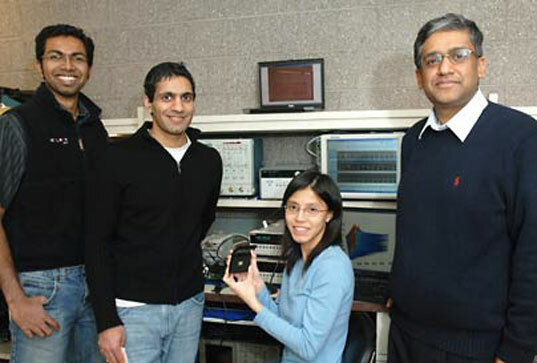 The key lies in the team’s ability to reduce the operating voltage of the device. Rather than operating at 1.0 volts, the new microchip operates at just 0.3 volts. MIT’s prototype microchip is only a proof of concept and it will be five years before the chip can become commercially available. Among the challenges to solve is the manufacturing process involved in making the chips. The slightest error can cause variations in the voltage, thus making the chip unusable. “Designing the chip to minimize its vulnerability to such variations is a big part of our strategy,” said Anantha Chandrakasan leader of the MIT team. Congrats to MIT...As an old Textile engineer I look forward to finding out more..Functional clothes are the future. They can be enviornmentally safe, provide SPF protection and fibers can be engineered to accomodate the technology. There are blends of fibers and basic weaving techniques that can made for specific types of garments depending on the function of the product; Heat collection, insulation and conducttivity. I look forward to more info. Wow! those MIT geeks did it again! How will they outdo themselves next? To clarify - the innovation was regarding a low power chip, not a way to harness body heat or ambient energy as a power source. They're simply saying that with a power consumption this low, a body heat power source might be feasible. The inhabitat summary is a little misleading. Designing a chip to run at .3 V though is a huge accomplishment, so congrats to them on that. hugo: 1 - Processors certainly do, but only when they're active. A screen on high brightness however will be the biggest energy hog on a laptop. On a day to day basis though, most people aren't taxing their laptops enough for the CPU to have that big of a power draw. 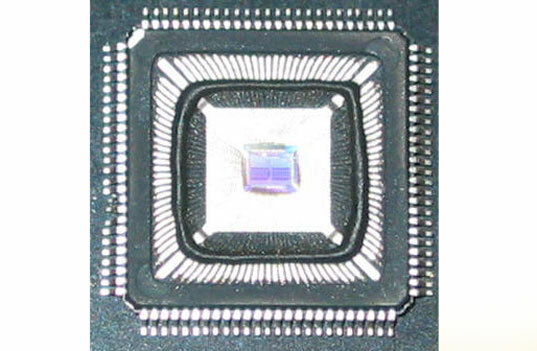 3 - The design techniques allowing them to create a chip working at .3V was the invention. These techniques are what allowed them to tackle the various challenges (interference and variation in manufacturing are two). Aha, three issues. First, all my mobile applications (laptop, mobile phone, pda) loose their energy rapidly when I leave the screen or bluetooth turned on, I believe these are the real issues on mobile equipment. This is the first time I hear processors take a fair amount of energy. Second, how is it possible to turn bodyheat in energy with a fair efficiency? That would be quite a nice technology not just for micro processors, but for all mobile power needs. I am far from an electronic expert, but doesn't the .3 volts power supply leave too much room for interference? Increasing the sensitivity limits the use of this MP? Overcomming this problem is, I think, the biggest challange (bigger then the actual invention). Today's microchips, while tiny, still use a fair ammount of power. This means that batteries have to be large and don't usually last very long. But what if microchips were just a little bit more efficient? That's what a team of engineers at MIT was thinking when they set out to redesign the microchip to make it even more efficient. The result is a microchip with a power consumption that is so low it can be recharged by your very own body heat.